If you do not have your own doctor, the not-for-profit DHSA after-hours clinic is a convenient point of first call. Please note that our service is available ONLY to registered doctors and medical students. If you are NOT a registered member of the medical profession, please do not proceed. 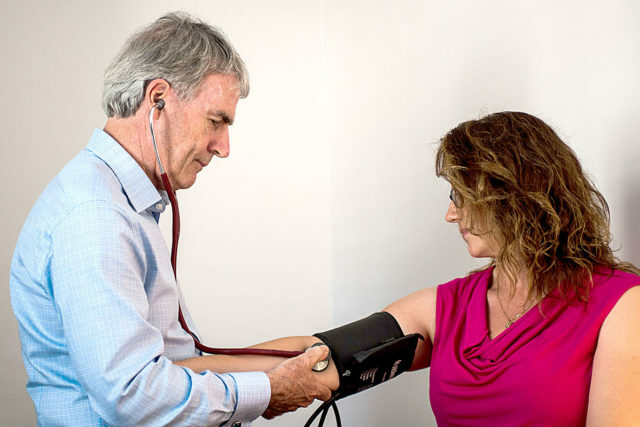 We have a team of eight experienced GPs working on a casual basis at the clinic. They possess a very broad range of clinical skills in general practice, mental health, contraception, women’s health and primary care…. i.e. anything! Call the clinic on 8232 1250 or book online by clicking on "Book Appointment" in top right hand corner, green button. A confirmation email will be sent then you will receive a Confidential Medical History Form to complete prior to appointment. follow-up appointment is 60 minutes to discuss results, complete the physical examination and discuss your areas of risk and future treatment. We encourage a follow-up comprehensive check- up in cases where they do not have their own doctor We encourage every doctor and student to select a GP of choice in the community. There is no substitute for regular GP support, and DHSA encourages doctors to let us do everything possible to safeguard their health. You will need to bring your completed Confidential Medical History Form along to give to your doctor at the appointment. If you prefer to see a local community- based GP who is a member of the DHSA team, please go to our Find a GP page. those who have been managing their own health without an independent assessment of their risk. unwell doctors or students who can’t access or do not have their own doctor. We understand that many doctors prefer a blended form of care whereby they may manage some things them self and may only seek an independent review by another doctor for certain things and only some of the time. those self-treating and self-investigating doctors who really should have another doctor cast a fresh set of eyes on their problem list! We are currently piloting telemedicine and it is planned that appointment openings will be available at the beginning of March 2017. If you are interested in a telemedicine appointment please phone the clinic so that can be arranged. the rural doctor with difficult geographical access. We encourage doctors and medical students without a doctor to raise any immediate areas of concern, and also to have a comprehensive check-up (we will help you to find a GP of choice for your on-going medical care). Your medical assessment may need to be conducted over two appointments, the first of which is an initial half-hour consultation, followed by a second longer appointment to allow a full assessment by your treating doctor along with a proper discussion. If you feel a longer initial appointment is required, you can book a one-hour appointment (rural doctors especially may find this option more convenient).